Last month we gave readers some initial details about the HTC Zara and HTC One Max smartphones. In the case of the HTC Zara there was not much known in the way of specs or features. Today though we have heard HTC Zara main specification details and we also have a press photo of the phone. The HTC Zara is targeted as a mid-range smartphone, and you can see the design in the leaked press image below. From the image here you can see that the phone seems to feature front-facing BoomSound speakers. Although we cannot verify if this is the phone in question, the source is the very often-reliable @evleaks, so we’re inclined to think this is probably the real deal. The image is accompanied by some specs for the device. The HTC Zara is said to be powered by a 1.2GHz MSM8930 dual-core processor, has a 4.5-inch qHD display with 960 x 540 resolution, 1GB of RAM, and 8GB of internal storage, expandable via microSD. 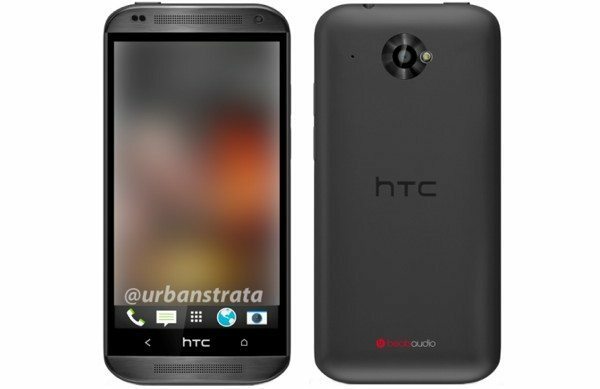 Other unconfirmed specs include an 8-megapixel rear camera and a 2,100 mAh battery, while it looks likely to run Android 4.3 Jelly Bean skinned with HTC’s Sense 5.5 UI. The new version of Sense may interest a lot of people, as we hadn’t heard mention of Sense 5.5 before. The HTC Zara seems likely to release in Q4 and join the many other smartphones vying for a place on the market during the busy holiday season. We’ll be certain to bring more specific details about this phone as we hear them, but while we wait we’d like to know what you think about the HTC Zara from this unofficial information. Do you like the leaked design of the phone that we’ve shown you here?